The Gettysburg Museum of History is located at 219 Baltimore Street in Gettysburg and houses over 4,000 artifacts. The exhibits include the American Civil War, World War I and II, JFK and other presidents, Elvis, Marilyn Monroe and many more. Truly there is something for everyone in this museum and store. 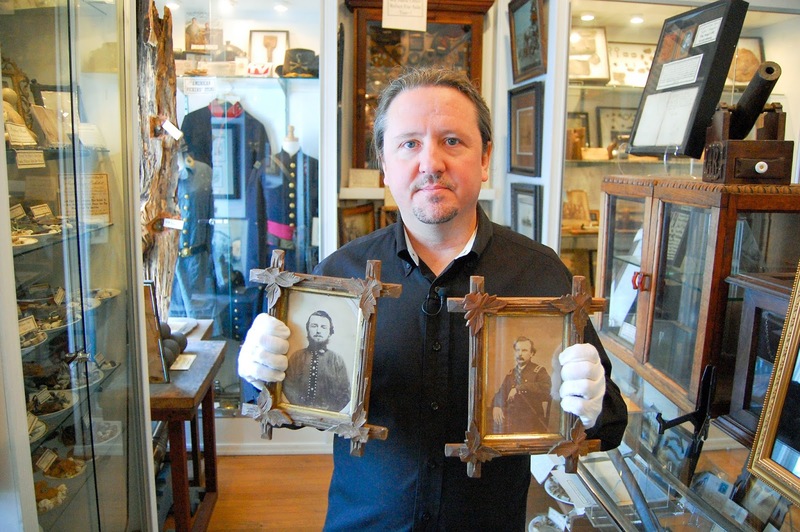 In this post on the Gettysburg Daily weblog, Erik Dorr explains how the photographic portraits of Wesley Culp, Second Virginia, Company B and Thomas Culp, 87th Pennsylvania came into his possession. He is convinced that this his the original 1861-1862 portrait of Wesley Culp who was killed on July 2 or 3, 1863 on the culps Hill sector of the battlefield. He describes how the only portrait you have ever seen is a reproduction of a reproduction originally created by the National Park Service. 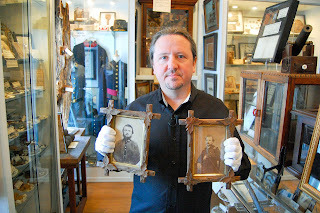 Gettysburg Daily: Gettysburg Daily weblog link to Gettysburg Museum of History videos of Erik and the photographic portraits. The videos were created by the Gettysburg Daily.